Can kefir help people having lactose intolerance and Candida ? 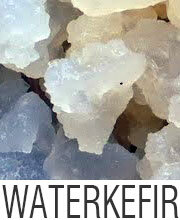 ← How to rehydrate water kefir grains ? Kefir has a huge range of health benefits because of its probiotic properties. 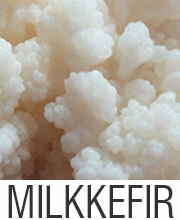 Kefir is generally prepared from the milk of cows, goats or sheep. Both yogurt and kefir are made from fermented milk. However the health benefits of kefir are plenty in comparison to yogurt. Kefir keeps the digestive system of human beings clean and healthy because of the beneficial yeasts and bacteria contained in it. 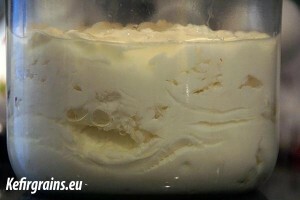 The consistency of kefir is thicker than milk and it has a tart taste. Lactose intolerance is a very common digestive problem. This is caused because of deficiency in the enzyme called lactase which helps in the digestion of the milk sugar called lactose. Bloating, gas and diarrhea are the common symptoms of lactose intolerance. People with lactose intolerance generally cannot consume milk and dairy products. The problem of lactose intolerance differs from person to person. Some people have to stay away from all dairy products whereas others can indulge in only a little amount. Lactose intolerant people can however have kefir. This is because the beneficial bacteria present in kefir secrete the enzyme called lactase which helps in digestion of the lactose. An experiment was conducted on few lactose intolerant people. They were divided in two groups. One group was given yogurt to eat and the other group was given kefir to drink. After about eight hours, it was found that the people who were given yogurt to eat had only symptoms of gas but no symptoms of bloating and diarrhea. On the other hand, the people who were given kefir to drink reported no symptoms of lactose intolerance. The people who drank kefir had lower hydrogen levels in their breath. This is because kefir contains far more beneficial bacteria than yogurt which boosts digestion. Nowadays, plenty of people treat Candida yeast infections by using kefir. Candida is a harmful yeast that infects children, men and women. Kefir contains plenty of beneficial yeasts such as Saccharomyces which help in curing Candida yeast infections.However you must know that only having kefir is not enough to treat Candida yeast infections. Your diet should comprise complex carbohydrates, vegetables containing high fiber and protein. Along with kefir, a balanced diet is required to treat Candida yeast infections. You also need to drink at least eight glasses of water every day along with large fiber intake. 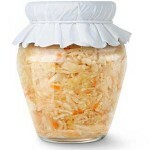 In order to fight Candida, kefir produces a lot of mucus in the colon. You must also exercise regularly. Regular exercise stimulates your colon and intestines. As a result, they are cleansed. Kefir is a wonderful and natural remedy. It keeps the body well nourished, balanced and healthy. When the body is nourished and is in a healthy condition, further infections of Candida yeast can be prevented in the future. However kefir does not suit all people. So even after having kefir, if you see you are not getting rid of Candida yeast infections, then you must consult a doctor and take proper medication. Some people on the other hand, are allergic to a particular kind of milk such as goat’s milk or cow’s milk. 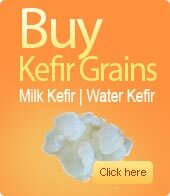 So if you are allergic to goat’s milk, then buy kefir made from cow’s milk. Nowadays soy milk kefirs are also available in the market. You must be convinced by now that kefir is such a wonderful dairy product. Apart from containing plenty of beneficial bacteria and yeasts, kefir is also a good source of potassium, calcium and protein. You must include it in your diet today to be healthy, fit and to keep digestive disorders and infections away. This entry was posted in Kefir and tagged Can kefir help people having lactose intolerance and Candida ?, Candida yeast infections, Lactose intolerance. Bookmark the permalink.